Wolf Schneider founded the agency Bricks in January 2015, combining his expertise with his many years of agency experience in order to establish a new model in the real estate market. Bricks develops products, services, branding, communications and marketing solutions for properties. Once brand and product strategy as well as the idea of a real estate project have been defined, Bricks provides the international distribution via the shareholder Engel & Völkers. Before founding Bricks, Wolf worked at Scholz & Friends for 12 years as a Managing Director in Berlin and Partner at the S&F holding Commarco. Wolf began his professional career as an architect and designer and as early as 1992 headed the interior architecture and design firm Baumheier, Schuck & Partner. He was later a Creative Director at EXPO 2000 and a Technical Director at Pixelpark AG in Berlin, where he was promoted to a Managing Director shortly afterwards. 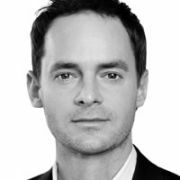 He became Managing Director of the Scholz & Friends Design Group in 2002 and subsequently Managing Director at Scholz & Friends Berlin. Wolf is a founding member of the German Design Council, a member of the ADC, D&AD London, as well as the AGD. His work has won numerous international awards and nominations at the ADC, DDC, D&AD, Clio Awards, New York Festivals, Cannes Lions and Red Dot, among others. He has worked with clients such as Google, Deutsche Bank, Vodafone, Amnesty International, Volkswagen, Daimler Chrysler and ADAC.